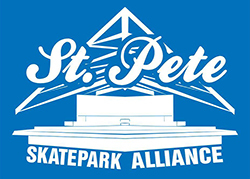 It only took Yoda about 5 minutes to put together this “Quick Clip” at Providence East Skatepark in Brandon, FL. Black Star (Mos Def & Talib Kweli) played the Straz Center in Tampa on Saturday night and our friend Zac Tomlinson was there to shoot some killer photos. Hard to believe that the one and only Black Star album came out in 1998…these dudes were way ahead of their time. Rumor has it that there is a new Black Star album in the works, slated for a 2012 release?